Pillow. Solid Patchwork Corduroy Pattern in Brick Red. Chenille Face with Polyester Back. Zipper Closure. Fiber Filled. Machine Washable. 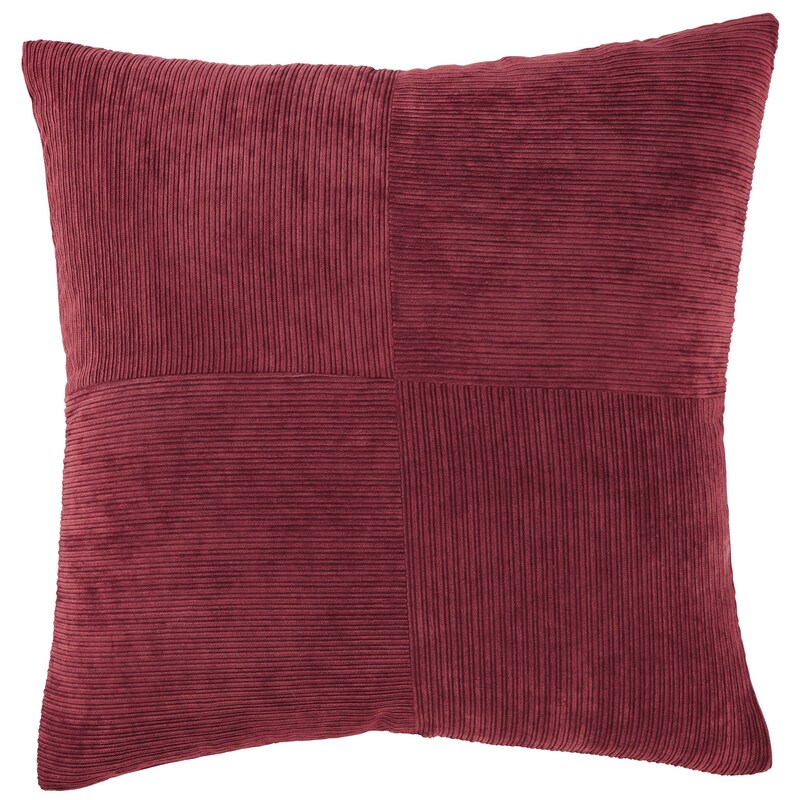 The Pillows Jinelle Brick Red Pillow by Signature Design by Ashley at Suburban Furniture in the Succasunna, Randolph, Morristown, Northern New Jersey area. Product availability may vary. Contact us for the most current availability on this product. You can quickly change up the look of your sofa or bed by simply adding a new pillow or two. The pop of color will add new life to the decor of any room. Note: Pillow covers require a pillow insert (sold separately). The Pillows collection is a great option if you are looking for Contemporary Casual Accents in the Succasunna, Randolph, Morristown, Northern New Jersey area. Browse other items in the Pillows collection from Suburban Furniture in the Succasunna, Randolph, Morristown, Northern New Jersey area.